Bonding, also known as composite bonding or dental bonding, is a cosmetic dentistry procedure that can be used to repair chipped, cracked, or discolored teeth. Bonding can also be used to fill in gaps between teeth, protect the root of a tooth, or as an alternative to silver amalgam fillings. At Dr. Edderai’s dental bonding North Miami Beach / Miami office, we have been using bonding as the only means for teeth fillings for the past 12 years. Bonding takes approximately 30 minutes to one hour in a single visit to our office. We begin by selecting a shade of composite resin (bonding material) that is closest to the shade of your teeth. Then, Dr. Edderai abrades the teeth and applies a liquid that helps the bonding material adhere to the teeth. The composite resin is then applied to the teeth, smoothed into the desired shape, and hardened with a high-intensity light. After the resin has hardened, Dr. Edderai makes the final touches and polishes the tooth until it resembles the other teeth. 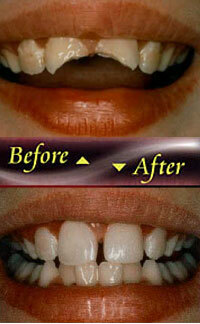 Dr. Edderai can repair multiple teeth during a single visit. In addition to performing dental bonding in North Miami Beach, Dr. Edderai also offers a wide range of dental procedures for Invisalign, veneers and implant dentistry Miami patients. Patients also come to him from Bay Harbor, Aventura, Ft. Lauderdale and Hollywood.